At Zycus we understand that opportunities to meet and network with peers go a long way toward strengthening your connections and establishing new ones. In building on our success in Singapore, our global recognition by Gartner and our acknowledged thought leadership in the Procurement sector, Zycus returned with an evening of thought leadership session and fine dining at the elegant Marina Bay Sands, Singapore. Zycus Confluence Singapore, happened on 7th February 2018 at the Sands and Expo Centre, Marina Bay Sands, Singapore. It brought together selected senior leadership from the procurement, finance and, technology across all major industries. The evening provided an opportunity to meet some of the best minds in the business, spanning many vertical sectors. It was an intimate, invitation-only event intended to foster conversation, share best practices and innovative approach to the problem – solving. Attendees learned about the latest developments in technology and its impact on procurement to help them chart their blueprint of initiatives for 2018. The session started with the introduction of the event by Amit Bhatia-Business Head Asia- Zycus. It was followed by the thought leadership session by Ben Briggs- Group General Manager – Procurement and Supply at Crown Resorts Limited. He shared the Procurement transformation initiatives at Crown Resorts. 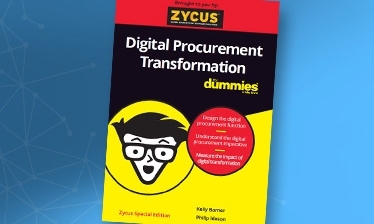 Craig Rawlings, from KPMG, shared insights about how digitalization is presenting new opportunities to predict and respond most effectively to market demands for procurement. The lively panel discussion on the role of technology as an enabler in realizing business, following the thought leadership session had experts sharing their insights on the technological readiness of the organizations, emerging technology trends for 2018 which have the potential to be game changers for the businesses specific for APAC, ways to identify the right technology stack were also discussed. Taking the stage for the panel discussion was, expert speakers including industry thought leaders and analysts like Ben Briggs, Group General Manager, Procurement, and Supply – Crown Resorts Limited, Craig Rawlings, Partner at KPMG, Amit Bhatia, Business head Asia-Zycus. The session was moderated by Murtaza Nulwala, Principal Solutions Consultant-Zycus. We do almost 24-25 Zycus Confluence events globally throughout the year. By bringing together the most innovative minds in the industry, Zycus Confluence provides a great platform to share ideas and learn from the best minds who are already innovating and bringing in the best practices to move the meter on business performance. Zycus Confluence was a very good event, and we are confident that it will only get bigger and better as the years roll on.” said Dixit Jasani, VP of Sales & Global BD, Zycus. Click here to learn more about Zycus events that can help you get insights into best practices, tips & tricks, real-world cases – facilitated by practitioners, solution developers, and analysts. As I finish writing this blog, registrations for Zycus Horizon 2018, Europe edition is about to begun. It is an annual flagship event by Zycus. It will be a three-day conclave, hosting close to 100 procurement & finance practioners from leading organisations across the globe starting June 10 through June 12, at The Luxurious 5-Star Boscolo Prague, An Autograph Collection.